With over 24 years of experience creating blow molds for recreational products, we are experts in our field. We take pride in the high quality of our finished molds because we know how important it is for your final product to stand out against the competition. 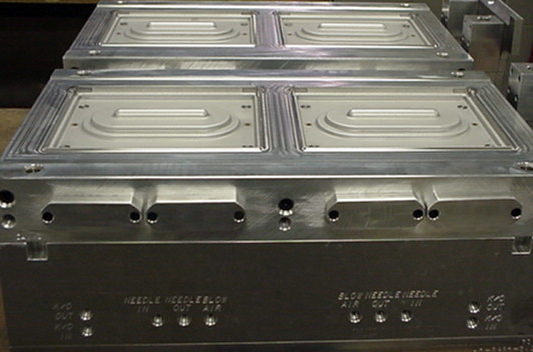 Our molds are durable, accurate, and easy to service. Our team will work with you to ensure that your expectations are met, and you are satisfied with the finished product. 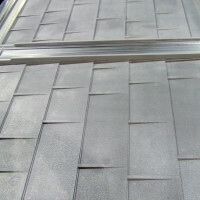 Garrtech is capable of creating large-scale blow molds for product manufacturing. 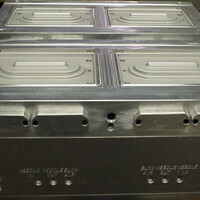 This cooler-lid is a dual cavity mold which doubles the output of a conventional single cavity mold. 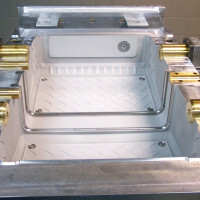 We design our molds with superior cooling using only the highest quality materials to suit your specific applications. This cooler blow mold uses a retractable pull core system. These pull core systems are engineered to relieve die lock situations and to assist in the material distribution of your part. We have created proprietary guiding systems for the core inserts. This system is used on all molds requiring core pulls or retracting components. 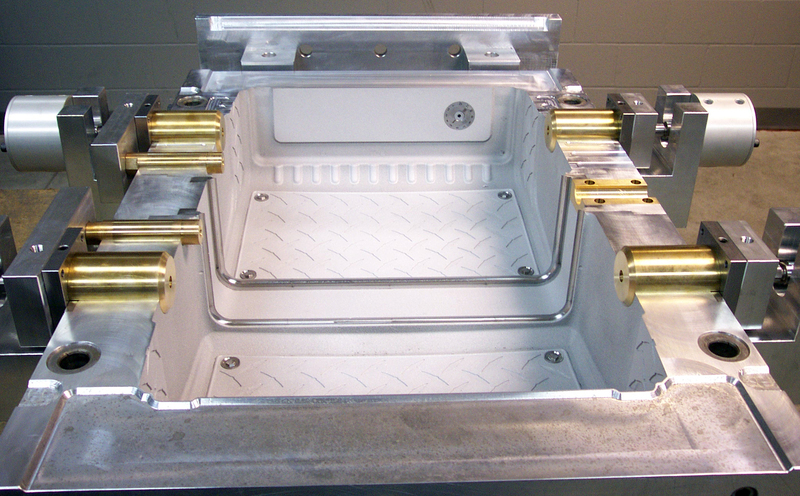 Garrtech has years of experience developing molds for industrial applications. 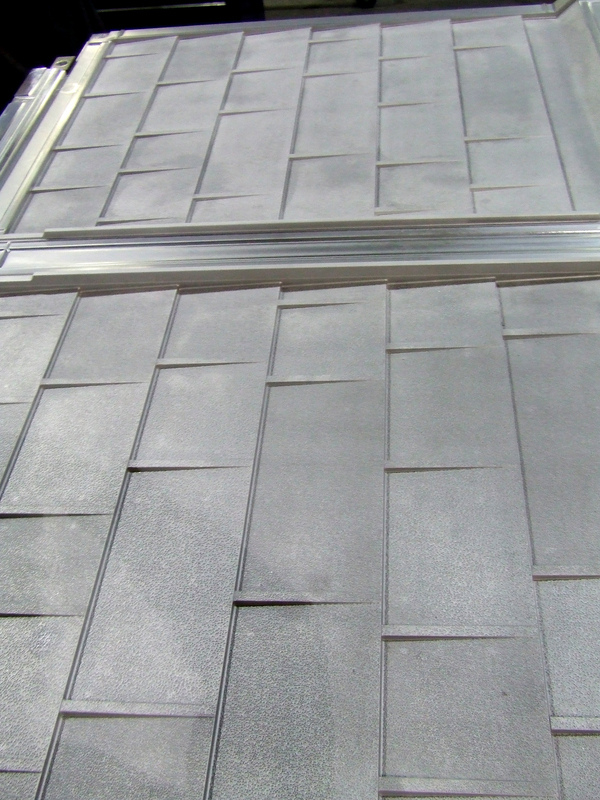 This roof shingle mold is an example of our ability to create and machine in intricate detail large-scale product manufacturing molds.